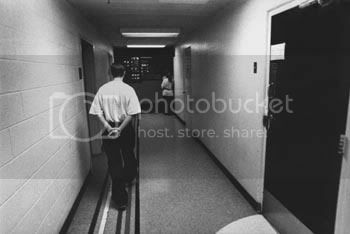 This blog is written about juvenile corrections from the perspective of a juvenile corrections officer. The details I write about will be about how my county handles juvenile delinquents. 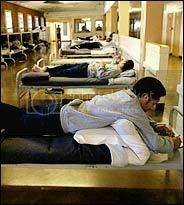 This blog is for other juvenile corrections officers, social workers, police officers, parents, kids, and those out there that support what we do or wonder what we do. It's been pretty obvious that I haven't had the motivation to write on this blog in some time. Not that there haven't been stories to tell, there have been, but this department is weighing heavily on me. I consider myself a man of principals and I value my integrity a great deal. With that said, I cannot be happy working for any organization when I feel our actions deviate so far from our mission. In my line of work, my mission is simple: Incarcerate minors, protect the community, and send these minors back into the community as law abiding citizens and not destructive delinquents. Since I've been hired there I haven't felt we've been doing the best job we could be, but over the past six months I felt we've completely fallen off the map. Over 100 peace officers have been laid off by my department in the past six months. Over 100 peace officers who began a career here, had some great and constructive programs for these kids, that we will never have back. We run on skeleton crews at work and have willfully turned a blind eye towards safety, security, and control. With less staff we are being asked to do more. Just the other day we had orders to have all kids out of their rooms for the majority of the day. Damn the schedule, damn the policy, have the kids out. Along with the 100 peace officers gone, our funding for several programs and one camp has vanished as well. Programs and camps that actually did well are no longer in service. We now have kids becoming institutionalized rather that contributing members of society. And with officers laid off and funding vanishing, our chief still has the audacity to stand in front of the county board of supervisors and declare we are still accomplishing our mission. We have less staff, less funding, turning deliquents away for crimes such as drug dealing and assault, and we are succeeding? Not only does she say that, but she also suggests building a memorial wall for department officers who have passed while employed there. Not who died in service, since, if I recall right, nobody has. I'm not against building one. I'm against building one now. We have no money, how many people are we going to have to lay off now? What our chief needs to do is get up there and tell them we are failing or going to fail if cuts continue. Every other department in this county is saying that, how can we be the only ones succeeding when we're the only law enforcement department to lay off officers and release criminals early? And our administration wonders (they probably don't, I highly doubt they care) why we think they don't care for us. And if we thought our union would stand up for us, they haven't. Lay offs were never supposed to be this bad, but they declined furloughs and pay cuts, both of which were highly favored by officers if it meant someone down the line got to keep their job. It never had to be this bad. I'm no longer excited to go to work. It doesn't fulfill that purpose in me anymore. We are failing, and I am troubled to be working for a department that isn't just failing in its mission, but outright denying it as well. I wish I could move on to something else, but jobs in California are scarce. I'm praying something happens. So this is good bye. I'm just not motivated to continue writing. I do want to thank you all for visiting and commenting. I've learned a lot from you guys. I'll continue to stop by your sites and support you, but I am stopping my own. You guys were the best, and this blogging has been an experience and an adventure to me. God Bless all of you, stay safe out there and take care of yourselves. I'm a Juvenile Corrections Officer in a very diverse county. I love sports, reading, and being active. I'm also married to the greatest girl in the world who supports me in all that I do.